No.1 cutting performance in industry. Durability, Sharpness, & Anti-pipe-cracking. Three great features in one. Ergonomic Handle Design gives you less stress during operation. 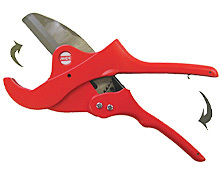 Quick Release Blade mechanism: It’s not necessary to open the handle with both hands to release the blade. 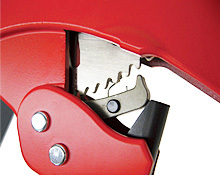 Extreme Cutting Leverage Design: less effort & less work in operation. 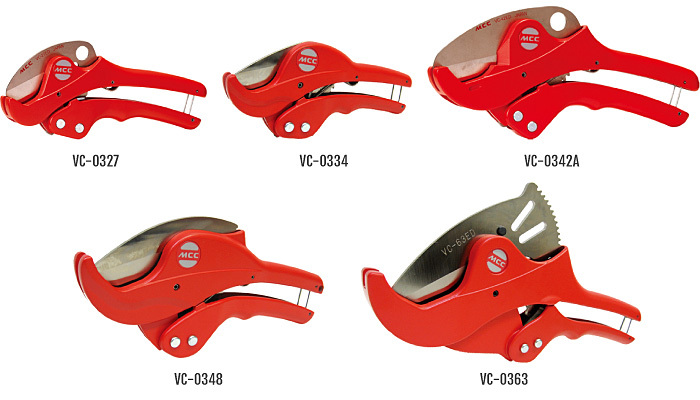 Compact Design: While still in a small and compact unit, the VC-0334 & 0348 still has the ability to cut larger pipe. We made it simple. To learn how to replace blade, click on the instruction video below. New advanced design series, five different sizes completed. 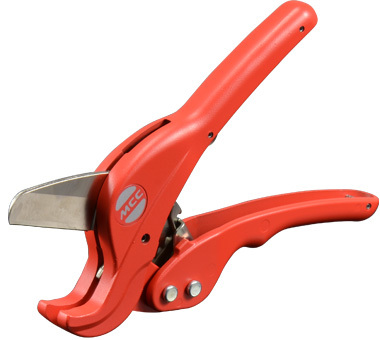 Enjoy using this cutter while reducing stress on your hands with our specially designed handle. 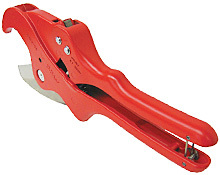 Rust-Free spring and heavy duty ratchet gear sustain a good working condition at any job site. True one hand operation allows you to continue cutting from one cut to the next without leaving the pipe. A hole on blade can be used for reaming outside of pipe. Rectangle tubing materials can be cut by using a jaw attachment (color yellow object in the picture, optional accessory). Simple Mechanism with the less components. Original design since 1979 when patented in the US.